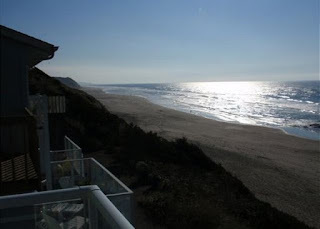 With so many perfectly positioned beach vacation rentals Oregonwill be at your fingertips once you decide to vacation in Lincoln City. The miles of pristine coastline alone is enough to keep you and your loved ones occupied, and when you consider all the surrounding areas of the Central Oregon Coast you soon realize you’re spoiled for choice! There is plenty to do right in Lincoln City, though, making it a perfect destination for either an extended vacation or quick getaway. Here are a few ideas of what’s coming up in Lincoln City to keep you and your loved ones busy during your stay here as summer slowly draws to a close. This Friday August 19 and Saturday August 20, Comedy on the Coast will take over the Chinook Winds Casino Resort. The comedy fest will feature laugh makers including Danny Villalpando, Jackson Perdue and Jeff Jena as well as a no-host bar with doors opening at 7 p.m. each night. Tickets are $15. If you’re a sucker for sushi and other Japanese delicacies, you’ll definitely want to make your way to the Culinary Center in Lincoln City this Saturday, August 20. The ‘Food of Japan’ Demo runs from 11 a.m. to 2 p.m. and costs $60, which includes the demonstration, a meal and accompanying wine. If books are more your thing, you may want to find yourself at the plaza next to Bob’s Beach Books on Northwest Highway 101 in Lincoln City this Saturday. A free event will take place from 10:30 a.m. to 2:30 p.m. featuring award-winning and best-selling authors from many genres including fantasy, history, mystery, science fiction, young adult and children’s. Pirate lovers and philanthropists alike should appreciate the all-day Pirate Treasure Hunt in Depoe Bay this Saturday, August 20. The treasure hunt will benefit charities and offer additional activities such as a mystery story to decipher, live silent auction, and party at the end of the day. Visitors to Lincoln City, as well as curious locals, may want to partake in a free Walking Tour of the Historic Taft District from 1 to 2:30 p.m. this Saturday, August 20 and Sunday, August 21. John Blaine presents the walking tours every Saturday and Sunday with support from the North Lincoln County Historical Museum, where you can stop by during opening hours to sign up for an upcoming tour. 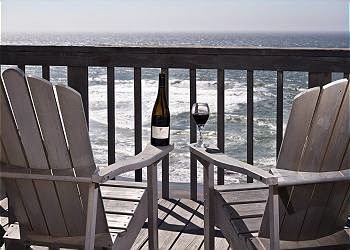 With all the wonderful beach house rentals Lincoln Cityhas to offer you should feel right at home during your upcoming visit. And if you’re around between 9 a.m. and 3 p.m. this Sunday, August 21 (or other upcoming Sundays) you may want to take a stroll from your beach house to the Lincoln City Farmers & Crafters Market like many locals do. All the foods and crafts you’ll find for sale will either be home-grown or hand-made by the vendor. The Oregon coast is known for great seafood, so why not get up close and personal with one of the most popular bounties of the local sea: clams! On Wednesday, August 24 a Clamming Clinic will meet at the Driftwood Public Library on Southwest Highway 101 to learn about clamming and then set off to put those skills to use in Siletz Bay. Visit OregonCoast.org to learn more about this and other upcoming clinics. With the right beach home rentals Lincoln City will be your oyster, right there for the taking! Don’t delay and book your house or condo today if you haven’t already.